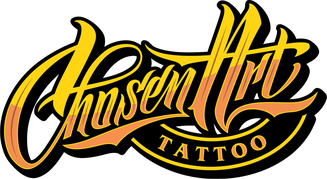 If you have any questions about your tattoo aftercare or the healing process, please call or contact us via the Contact Us link! • When you get home: Remove bandage within 2-3 hours after getting your tattoo. Do not re-bandage. • Wash your tattoo with an anti-bacterial liquid soap. Be gentle, do not use a washcloth or anything that will exfoliate your tattoo. Only use your hands. • Gently pat your tattoo dry with a clean cloth or paper towel. Do not rub, or use a fabric with a rough surface. • The first 3-4 days: Rub a small amount of ointment on your tattoo. You may use Bacitracin, A and D, Neosporin, or Tattoo Lube– whatever you know you’re not allergic to. Always use clean hands and do not place your fingers back into the ointment after touching your tattoo. Make sure to rub the ointment in so that it is not shiny, or greasy– you want the thinnest amount possible. Pat off any excess ointment with a clean cloth or paper towel. Do not use Vaseline, petroleum or Bag Balm. Wash, dry and apply ointment 3-5 times daily, as needed. • On the first night, you may want to wrap your tattoo in saran wrap to prevent sticking to your bedding. Do not use any cloth bandages or pads, as the fibers of this material can adhere to your open tattoo and hinder the healing process. • Wear clean, soft clothing over your tattoo for the first 2 weeks– nothing abrasive or irritating. For a foot tattoo: go barefoot as much as possible. If you must wear shoes, first wrap your clean tattoo in saran wrap, then cover with a clean cotton sock before putting on your shoe. Avoid sandals or flip-flops for this period to prevent chafing and damage to the tattoo. • After day 4: On the 3rd or 4th day your tattoo will begin to peel. This is normal! Do not pick at the skin. Begin using a mild, white, unscented lotion, free of dyes or Perfumes. • Use lotion for minimum 2 weeks, 1-2 times daily. • Do not pick, scratch, peel, slap, rub or irritate your tattoo. • You can shower, but you may not soak your tattoo for 2 weeks. No swimming, soaking or hot tub. • You may not expose your tattoo to the sun for at least 3 weeks, after that you must use sunblock. • Do not wear abrasive materials, jewelry, or shoes that rub against your tattoo. • Do not let anyone touch your tattoo without washing their hands. • Beware of gym equipment, wash it well before using it. • Ice your tattoo to reduce swelling. • Elevate your tattoo, to reduce swelling. If you do not maintain proper tattoo aftercare, it may become infected or damaged. Infections are very red on the outside of the tattoo and may have thin red lines extending from it. It may ooze, pus, or bleed abnormally. If you think your tattoo is infected, seek medical attention immediately. There are several videos on the subject on youtube, follow this link and watch videos about tattoo aftercare.